If all goes as planned, the Tracy Municipal Liquor Store will relocate to this former convenience store building along Hwy. 14. Extensive remodeling is planned. The Tracy Municipal Liquor store will be moving to a new location on Hwy. 14 later this year. A unanimous Tracy City Council vote Monday night gave the go-ahead to a plan to purchase the former Food-N-Fuel property on Hwy. 14, and refurbish the building into retail space for the city liquor store. The current liquor store in the downtown would close when the Hwy. 14 outlet opens. An estimated $115,900 cost includes $33,000 to acquire the property from owner Sonny Vue and $82,900 for remodeling construction. Funding will come from a reallocation of $65,635 that the city has budgeted for repairs and maintenance for the current liquor store building, and tapping up to $50,635 in general City of Tracy reserves. • Much better location. The Hwy. 14 location would significantly increase the liquor store’s visibility, traffic, and have great potential for increased sales volumes and profits, the administrator said. Hwy. 14 has a traffic count that is 3.75 times greater than South Street, he said. 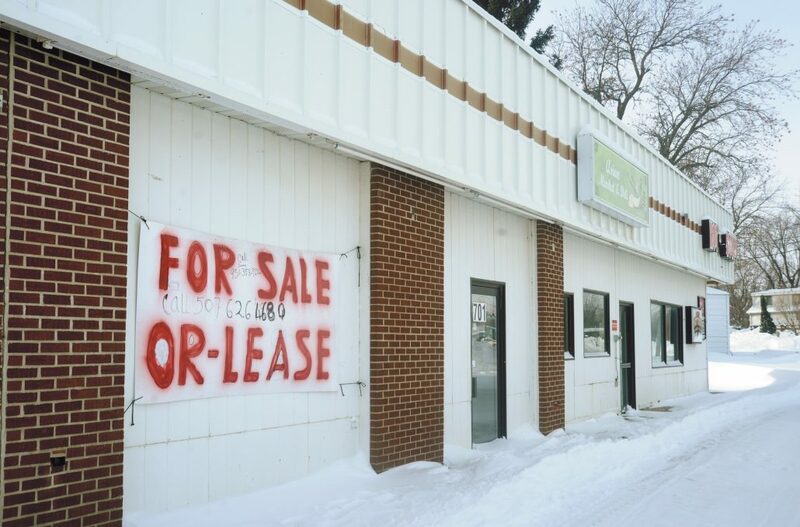 Because of this increased traffic, and evidence from other communities that have moved liquor stores from downtown to highway locations, Ambuehl said he was “reasonably confident” that a 30% increase in sales would occur at relocated store on Hwy. 14. • It makes sense to invest in a newer building. “The old building is in rough shape,” Ambuehl said. Even if $60,000 was spent this year on repairing an exterior wall, and upgrading coolers, HVAC equipment, flooring and fixtures, and improving disability accessibility, the liquor store would still be an old building, he said. The refurbished Food-N-Fuel building, he said, would look like a new store, and have lower future maintenance expenses than the South St. building. A reasonable $33,000 purchase price, the owner’s guarantee on the condition of the coolers, and the good structural condition of the building, Ambuehl said, all contribute to the project’s economic feasibility. The cost of building an all-new liquor store, he pointed out, would be much greater. Ambuehl said that he considered the $82,900 estimated remodeling cost to be “on the high side,” and stressed that he had tried to be conservative in projecting expenses. The administrator indicated that the goal would be to have the remodeled Hwy. 14 liquor store in operation in time for Tracy Box Car Days this fall. Comments at a public hearing were all supportive of a Hwy. 14 liquor store. Rosemary Martin, who chairs the city’s liquor advisory committee, said there are three main reasons for the Hwy. 14 relocation. Martin cited Maple Lake and Hawley, as two towns of similar size to Tracy, that benefited from significant revenue increases after moving liquor stores from downtown to highway locations. In Hawley, she noted, annual sales had increased from $725,000 to $1.3 million.